With trialist Anton Rogers already signed and Jonathan Vandesompele set to learn his fate soon, Alex Cooke looks at the short list of trialists who have made it at Town – and the much longer list of those who haven’t. Thomas Dossevi: living, breathing, continually-caught-offside proof that the wisdom of crowds is utter arseflap. Oh it is easy to criticise Andy King for taking a chance on Darren Dykes or Paolo Di Canio for giving Etienne Esajas a go, but the signing of Dossevi proves how hard it can be. When the Togolese trier flicked in those two goals against Nottingham Forest, Danny Wilson and every forum dweller made a huge mistake. Obviously, Dossevi proved to be utter tossevi, just like so many others did. However, Swindon have had a few belters on trial – such as Stefan Migloranzi, and some, such as Warren Howes who are so obscure that I can’t remember who he was and I wrote this list. This is the easiest one. Let’s begin with Charlie Austin, perhaps he is the most obvious name here. Sure then chairman Andrew Fitton knew the young striker from non-league but it still took a trial and regular viewings from scout Ken Ryder before Danny Wilson would sign him. Carefully now, Danny. However, there is another Town trialist who went on to arguable greater things even than the QPR striker; Nicky Summerbee not only won a play-off with Swindon and established a Premier League career, he also picked up an England B cap and went on Record Breakers. Some people might want to include Sam Parkin but his move from Chelsea to Town was made under contract and so, like a pupil at a free school, doesn’t count. Obviously playing for Swindon should be the pinnacle of any player’s career. That is a fact. And for a number of successful trialists it was. Signing the refined Stefani Migloranzi was probably Andy King’s best ever decision, certainly better than his idea of sticking the less successful trialist Antoine van der Linden up front. Swindon did have some other good overseas trialists with the likes of full-backs Phil Cuervo, Miguel Comminges and Lescinel Jean-Francois all carving out moderate careers at the club. We also found a few in the depths of domestic football, such as erratic Knutsford Town’s wingback Paul Edwards, and in his case, sent them back there when the novelty wore off. Rather than being a sullen youth desperate to impress, Evans was a midfielder dragging his wounded body towards the sunset of his career. He’d been capped by Wales and played in the top flight for Forest but injuries and Gary Megson had pushed him into obscurity. His impact at Swindon was as crucial as it was brief. He was brought in by Dennis Wise to add experience, guile and patience to a youthful central midfield. And while his talent was undoubted his trial was to prove that his knees were still working. They did, for 15 games and three goals – including a free-kick scored from 40 yards. These are those who achieved the ultimate goal – to be signed by Swindon Town but didn’t exactly make the grade. It includes the simply obscure, such as Adrian Bakali and those who made more of an impression – such Hamdi Razak who left small dents on the shin of every defender he met. There is even room is this list for Mauro Almedia, Franklin Anzite and Ibon Arrieta whose trials, through Best Holdings, were more of a foregone conclusions than anything little Joey Stalin arranged. Former manager Maurice Malpas deserves a mention with names for bring us the hilariously poor Yinka Casal and the late Lillian Nallis, who signed six months after his death, from arthritis. When rigor mortis had set in. Yeah, thanks Maurice. Marshall was the poor man’s Anthony McNamee. It’s a damming insult of the toddler-sized push-and-run merchant that he played in the shadow of an asthmatic, over-stepping-step-over man. Like McNamee, he was diminutive, liable to dribble and dangerously one-footed. His career went downhill though, at first literally playing with Barnet and later after a suspension for banned substances. This season he will return to the County Ground with Port Vale. There have been a few to pass through Town who perhaps should have been signed. Perhaps they struggled with the harsh Swindon summer, demanded wages big enough to guarantee a life of griffin pie and unicorn steaks, or just did fancy spending long coach journey’s listening to Freddie Darras play the spoons, but they didn’t sign. Nile Ranger has been involved more scandals than a dyslexic shoe salesman*, however, one of his first trials was legitimate. As a teenager he scored for Swindon before opting to head to Newcastle instead. Midfielder Harry Arter couldn’t be signed from Woking and he is now doing rather well at Bournemouth and Steve McMahon reportedly didn’t fancy Moroccan international Hassan Kachloul, which might have been a mistake considering the career he carved out with Southampton. 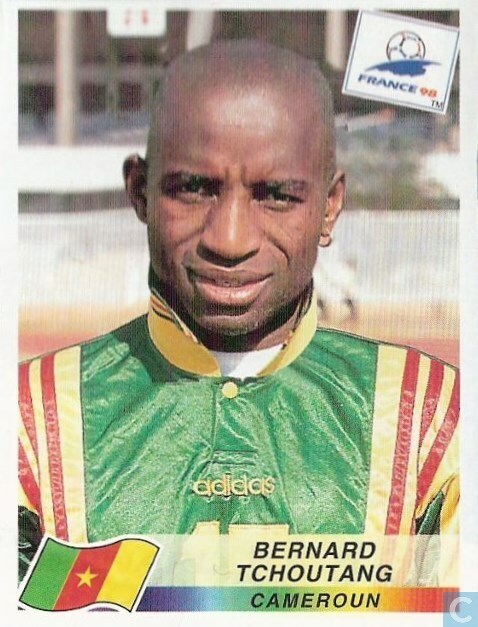 Finally there was Roger Boli, (brother of Basile, a player hard enough to headbutt Stuart Pearce) who had a solid career in Ligue 1 with RC Lens. Ipswitch’s Tyrone Mings once had a trial with Town after his release from Southampton. Now expected to play in the Premier League, then bound for Chippenham Town, we turned him down. But then so did Cardiff, Pompey and Bristol Rovers. It looks like a lot of clubs deserve to be kicking themselves. Algerian World Cup goalkeeper, Rais M’Bolhi now seems like a missed opportunity, except a lot of clubs must have seen the same thing as most of his career has been spent so far out of the spotlight his agent has to wear nightvision goggles. He wasn’t the only international trialist who didn’t sign with Town, Bimbo Fatokun Larne, Eugene Dadi and Bernard Tchoutang all had caps for (Nigeria, Ivory Coast and Cameroon respectively) but had longer YouTube videos than pedigree. The only one who really came back to haunt Town directly was Yoann Arquin. This apparently stroppy striker came over to prove himself to Swindon from PSG. Danny Wilson seemed initially interested in the talents of the hefty target man but considered him to raw. Arquin had his limited revenge scoring against Swindon for Hereford in a 3-3 draw at the County Ground (Actually it was against Mattia Lanzano, one of Di Canio’s trialists, so perhaps it shouldn’t count). Steven Morrison, Scott Spencer, Yan Klukowski, Cherno Samba, Jonathan Brown, Anton Ademole, Warren Howes, Joe White, Konate Bakari, John Hills, Kienan Hughes-Mason, Fabio Ferreria, Seye Mouhamadou, Dwayne Strong, Paul Emblem, Chris Kamara (the younger), Leon Knight, Nicolas Raimondi, Christain Paoletti, Taijo Teniste, Michael Wojtanowicz, Dean Gordon, Darren Murray, Mark Clark, Daniel Devine, Yannick Nlate, Willie Gros, Albi Skendi, Louis Harris, Kynan Isaac, Adeyinka Talabi, Rodrigo Turnes, Ibrahim Kargbo, Elikwm Amenku, Hugo Bargas, Louis Harris, Adeyinka Talibi, Kynan Isaac, Christian Cesaretti. This is only a tiny fraction of those who’ve been on trial at Town, and only goes back a few years. You can add a comment to add others, or highlight some other successes, or failures. Or even to defend what you said online about Dossevi. He is, but his signing hand works from beyond the grave. Beginning is the word you need. I wish I had the talent to make some fresh music for the podcast, do some posters like Brendan and spell some of our players’ names right. Right. Have I missed anyone? Think I might have – Chibbochi for one. I always rated Gabilondo (mentioned in your not to forget in the bad pile), thought he was better than De Vita and Oliver Risser was also a genuine success in my opinion. He did look good but in very, very brief moments but it is tricky to call someone a success if they don’t actually play or make an impact. Risser has that over him, despite probably being technically a worse player. But he did his job as it was asked of him. De Vita went beyond far beyond that and contributed as required time and again and so I’m very surprised to see him mentioned in the same breath. If your criteria for success is a couple of minutes of running at a full-back In a defeat to Oxford, then the bar is a bit low. What lets Gabilondo down for me is that he wasn’t really given the opportunity, every time I saw him he looked like he could make something happen whereas De Vita, though contributed a fair bit had a tendency to go missing. Did Bargas actually turn up? Not sure he ever did. He promised to numerous times. PDC saw and sent loads home – a few I’ve missed including striker Christian Cesaretti.